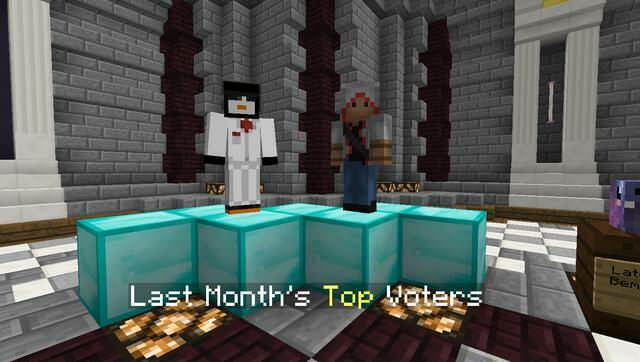 Congrats to mrpenguino & desmondmilez for being the top voters for July. They will continue to enjoy /fly aswell get 2X MCMMO XP for the entire month! They will also get the other perks of Sterling aswell! Remember voting every day gets you money, credits and possibly lottery tickets if your lucky but also gives you a greater chance of being top voter for the month! Previous Post Fly Ends Soon!